It’s important to have an emergency plan in place for your family and that includes the family pets. Natural disasters can happen without warning. A family with a plan is better equipped to handle life’s emergency disaster challenges more effectively. It doesn’t take much to put a plan together, share it with the family, neighbors and / or friends you can count on. The benefits of having a piece of mind knowing you are prepared will make a difference if anything were to happen. 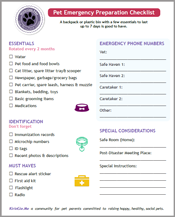 In addition to having an emergency kit prepared, the website Ready.gov suggests having a back up shelter plan for your pets as some emergency shelters may not allow pets. 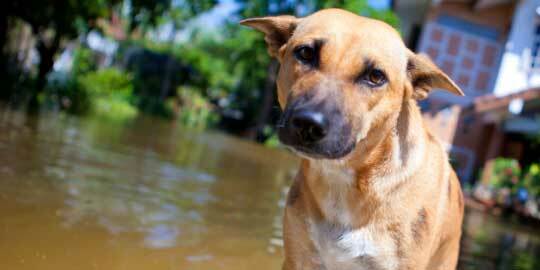 For your home, be sure to have alert stickers on your doors telling rescue personnel about your animals. The ASPCA will send you one for FREE.